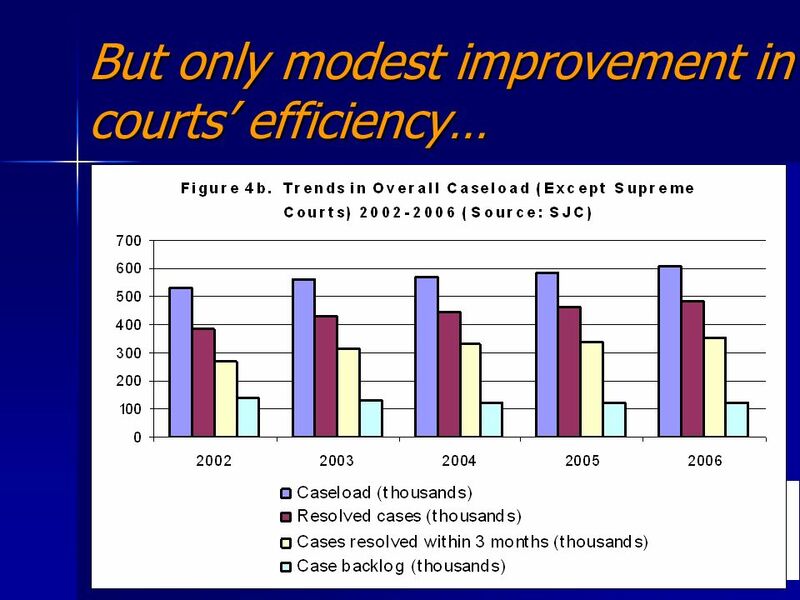 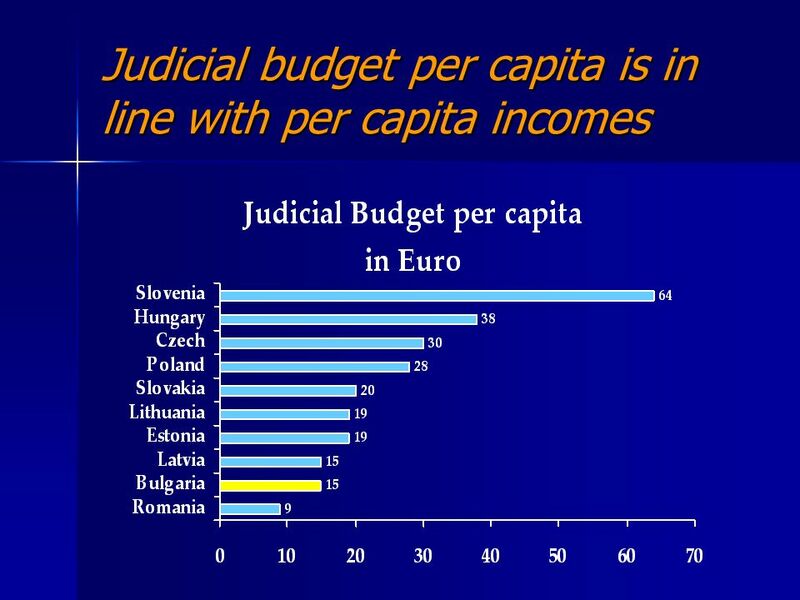 BULGARIA Resourcing the Judiciary for Performance & Accountability 2008 Judicial Public Expenditure & Institutional Review A Presentation of the World. 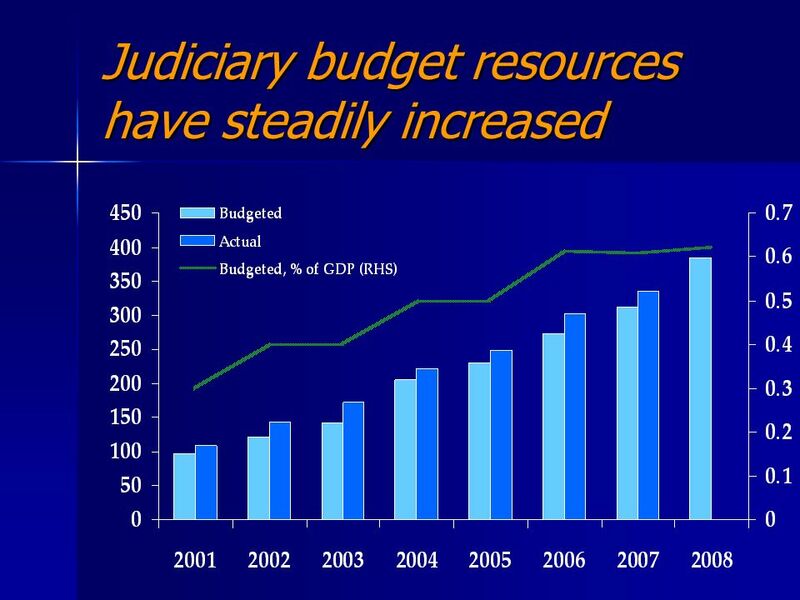 15 Sofia Regional Court & Prosecutors Sofia symbolizes the challenges in designing, sequencing, coordinating and implementing judicial reform Sofia symbolizes the challenges in designing, sequencing, coordinating and implementing judicial reform Demand: 13% of all cases; 20% of total backlog Demand: 13% of all cases; 20% of total backlog Resources: 1% of judiciary budget Resources: 1% of judiciary budget Result: lowest case completion rate Result: lowest case completion rate Prosecutors: Case overload, too little attention to important cases – no results. 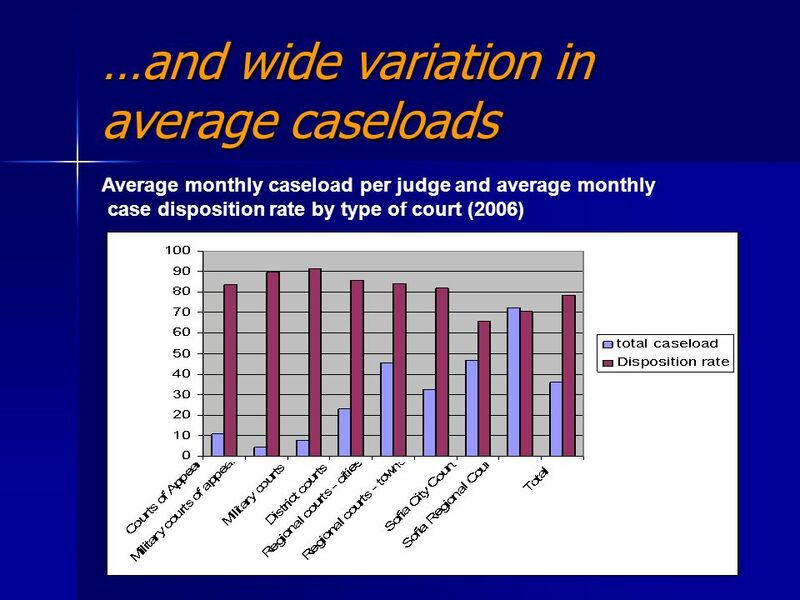 Prosecutors: Case overload, too little attention to important cases – no results. 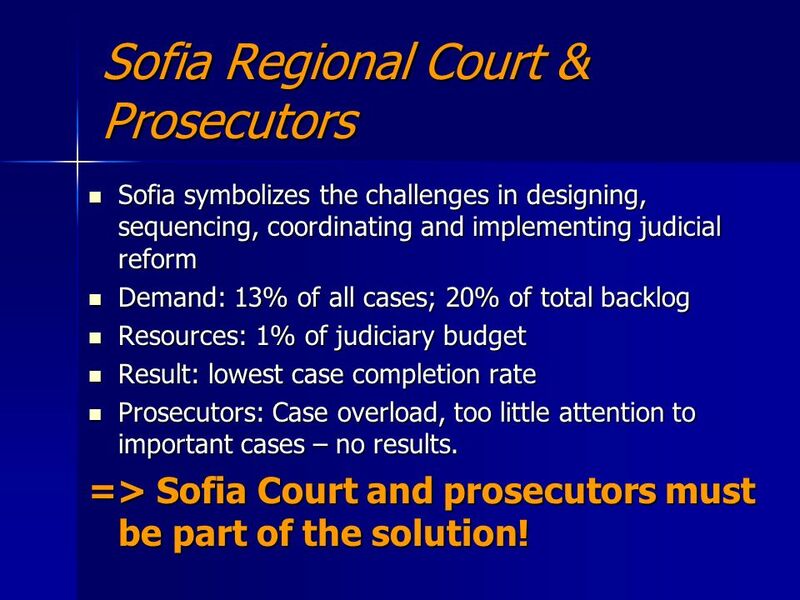 => Sofia Court and prosecutors must be part of the solution! 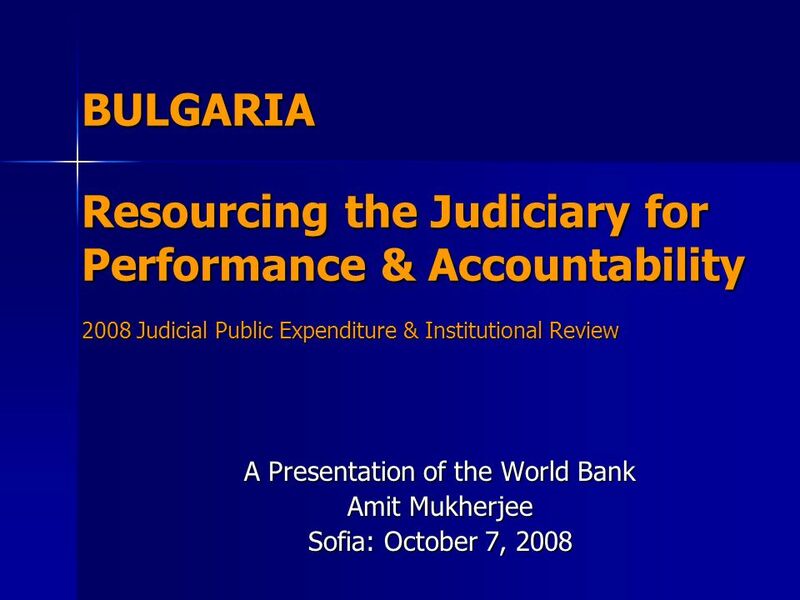 Download ppt "BULGARIA Resourcing the Judiciary for Performance & Accountability 2008 Judicial Public Expenditure & Institutional Review A Presentation of the World." 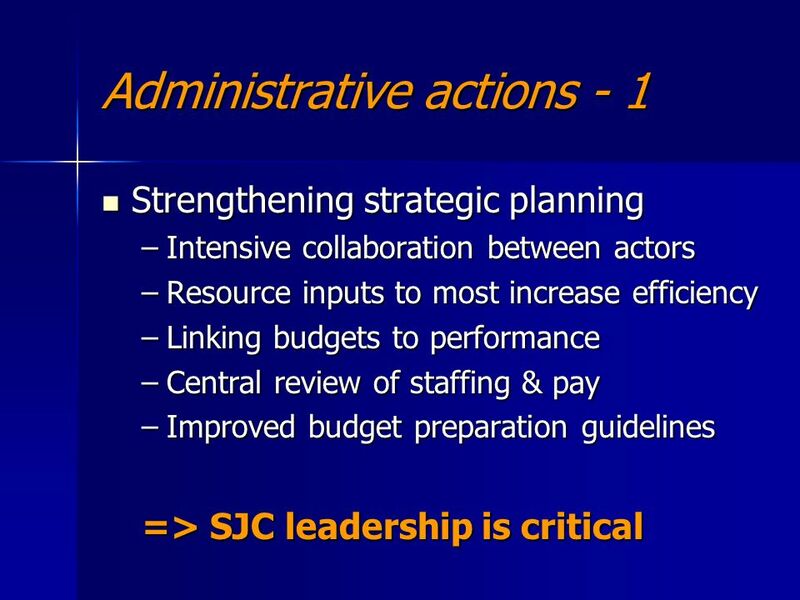 Budget and Reporting Processes and Formats Facilitating Improved Decision Making for Service Delivery David Krywanio. 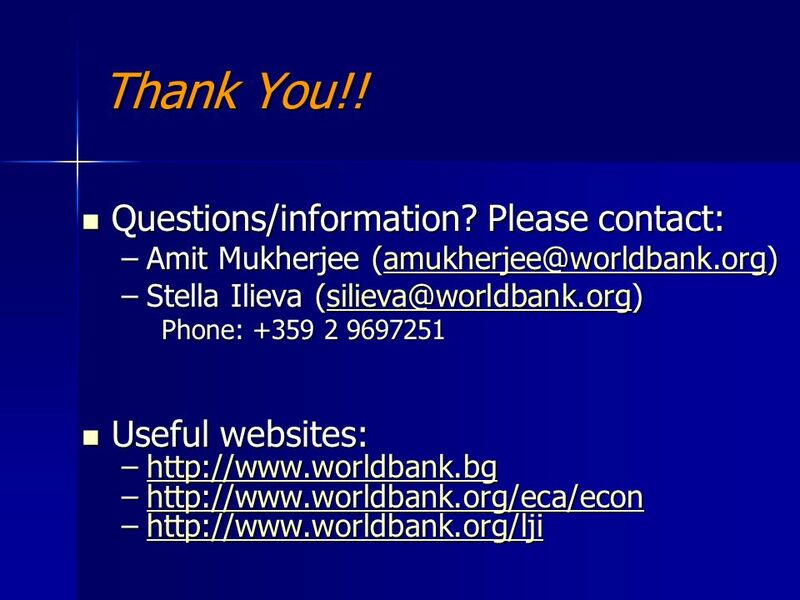 Alzheimer Bulgaria Association May 2012 Brussels 1Brussels, May 2012Association Alzheimer Bulgaria. 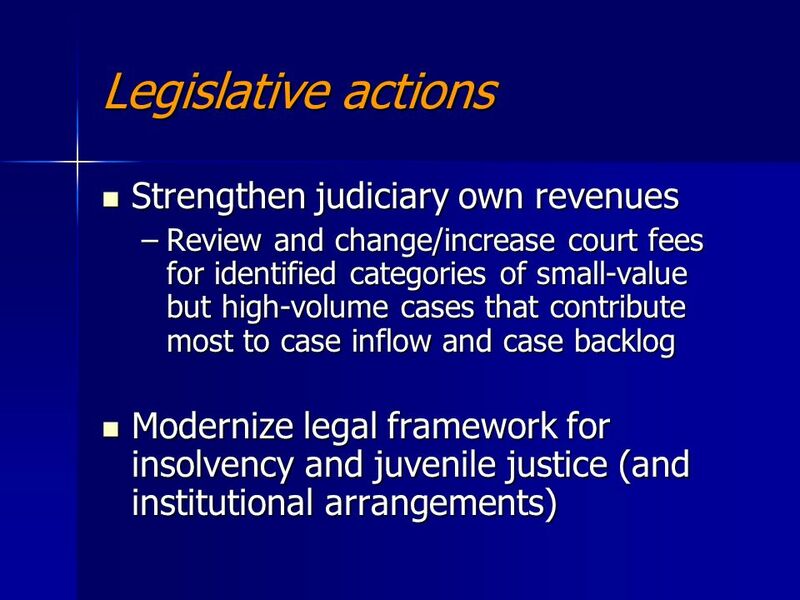 (c) David Webber - Consultant in Public Financial Management 1 Performance Budgeting & Measurement for Judicial Systems World Bank Seminar, Washington. 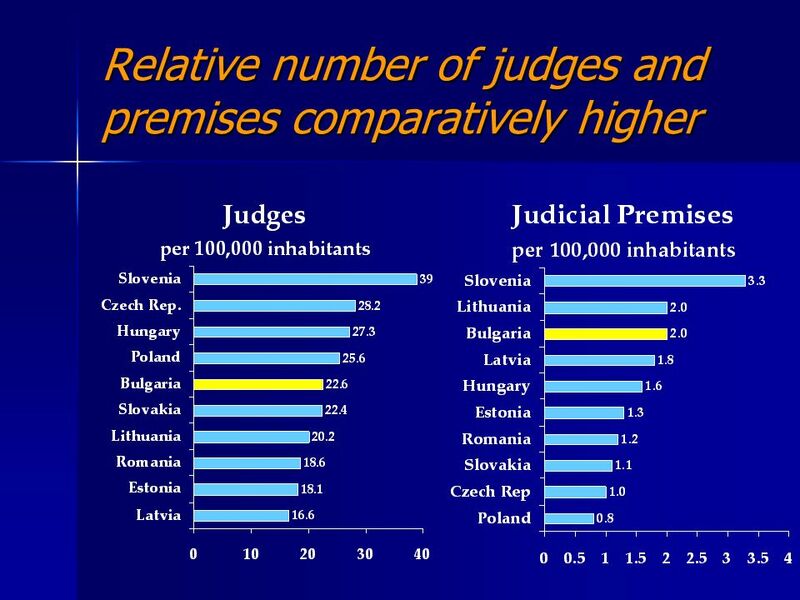 European Judicial Systems 2002 Facts and figures on the basis of a survey conducted in 40 Council of Europe Member States. 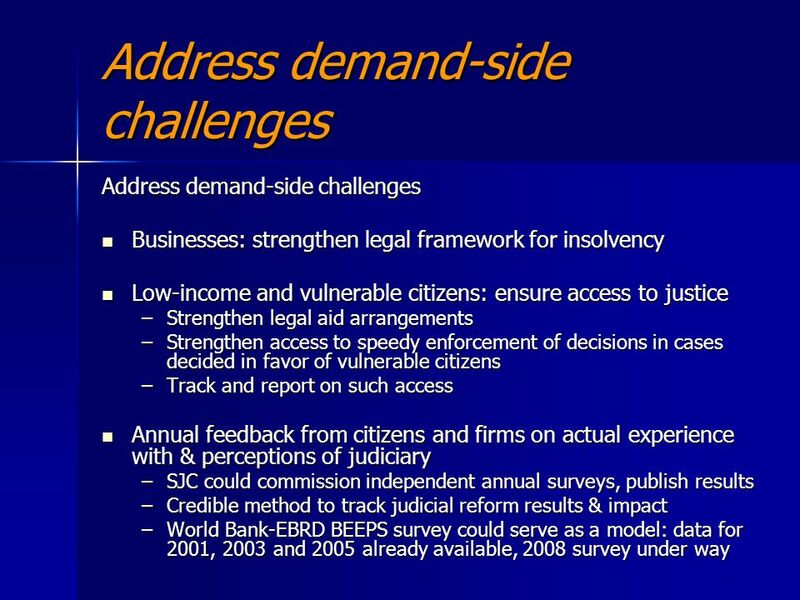 The USAID/Egypt-funded Administration of Justice Support Project: A Status Report World Bank December 2, 2008. 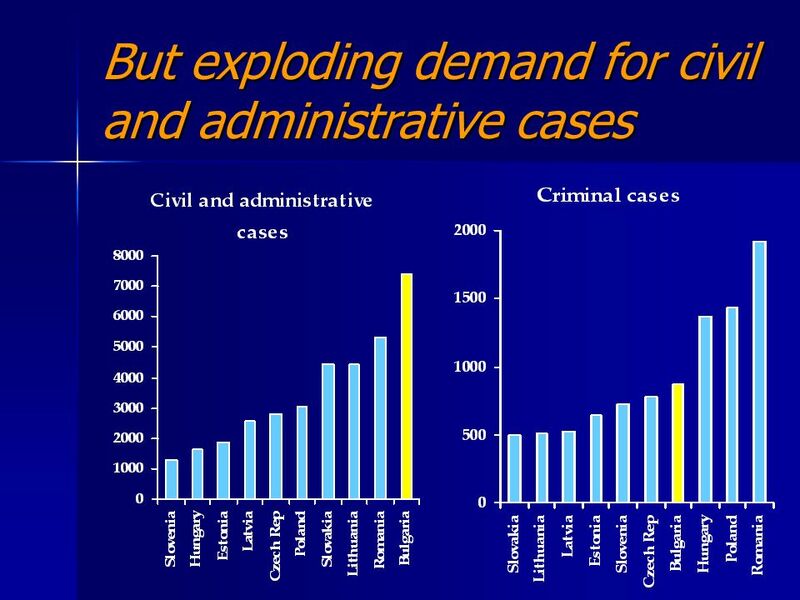 Monitoring Governance in Eastern Europe and Central Asia Cheryl Gray World Bank. 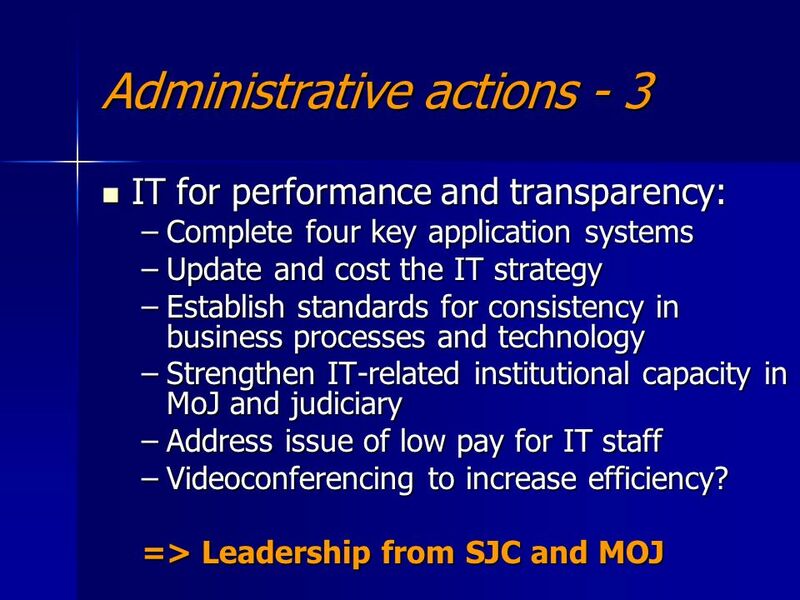 Operational Programme Administrative Capacity Competent, Modern, Transparent Bulgarian Administration Bilyana Raeva Director Management of Projects and. 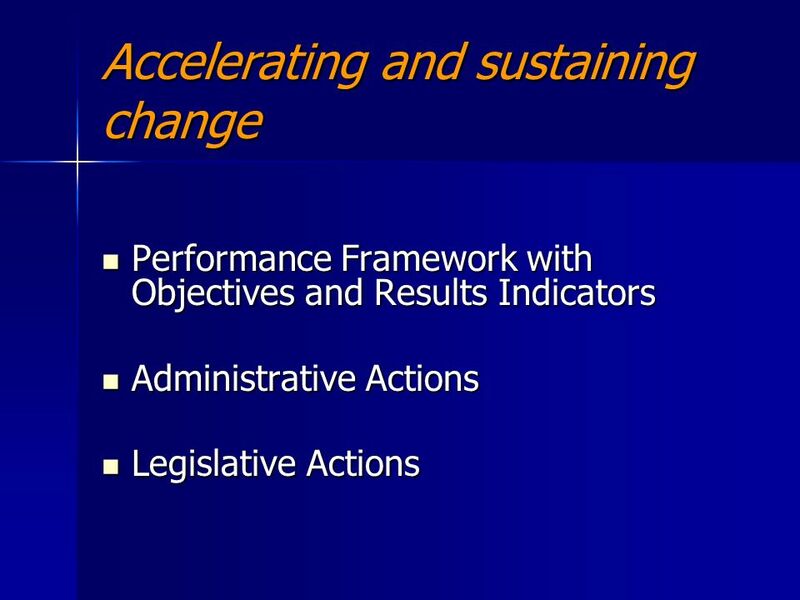 Standards and Trade Development Facility (STDF) A joint initiative in SPS capacity building and technical cooperation OIE Global Conference on Veterinary. 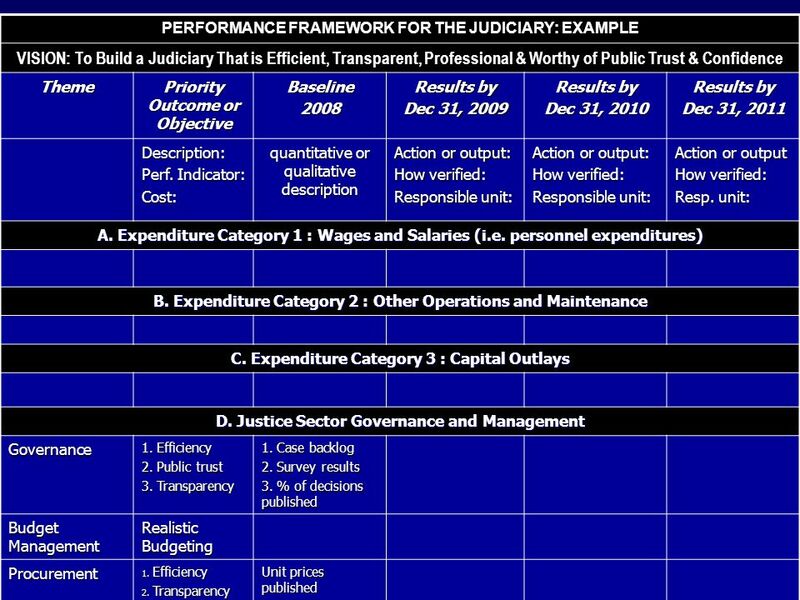 FREEDOM OF INFORMATION FRAMEWORKS: USING ACTIONABLE INDICATORS TO EVALUATE DESIGN AND PERFORMANCE Presentation at the First Global Conference on Transparency. 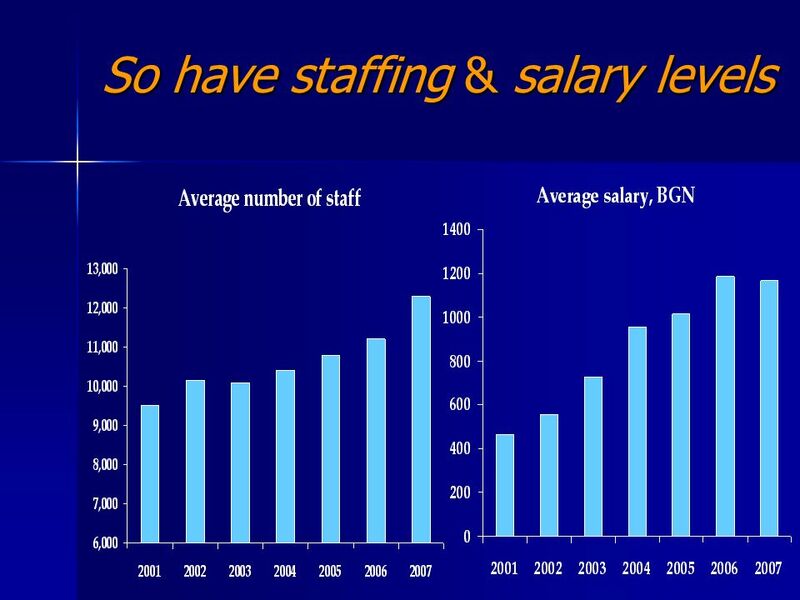 Challenging the Budget Creating Incentives for Results Rwandas Experience Elias Baingana - Budget Director. 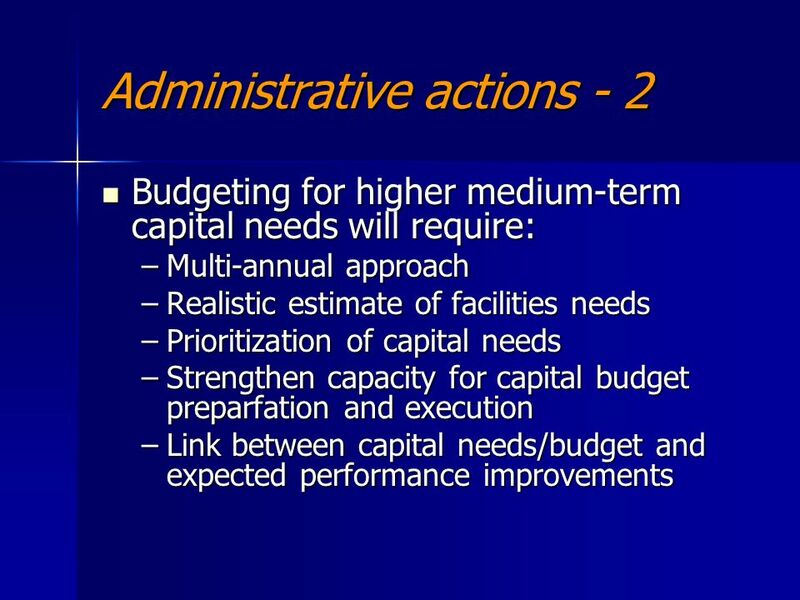 Building blocks for adopting Performance Budgeting in Canada Bruce Stacey – Executive Director Results Based Management Treasury Board Secretariat, Canada.